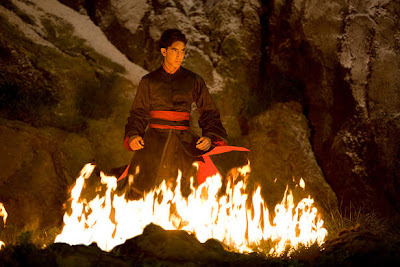 So, I found some stills for upcoming 2010 movies I'm very exited about. 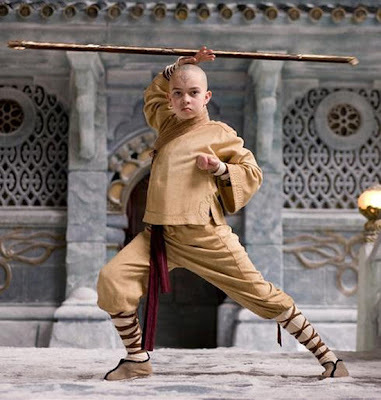 Tim Burton's Alice In Wonderland and M. Night Shyamalan's The Last Airbender (based on the Nickelodeon show, Avatar: The Last Airbender). Alice in Wonderland looks really trippy; set in the perfect mad dreamland as the books. 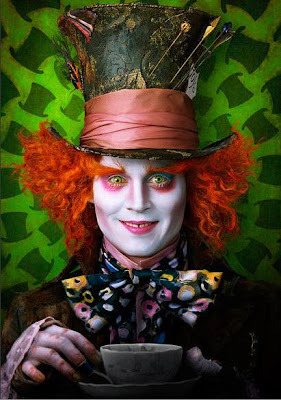 Johnny Depp is playing the Mad Hatter, which I'm quite excited about. Alice is played by a 19 year old actress, Mia Wasikowska. She seems quite perfect for the role to me. 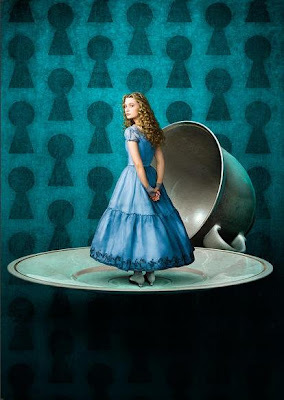 Supposedly, this adaption is taking place in Alice's teen years after the events in 'Through the Looking Glass'. Helena Bonham Carter and Anne Hathway have both been cast to play Queens. The costumes are brilliant from what I've seen from my sneaking around the internet and I hope to be in a movie theater March 5th when the film is coming out.